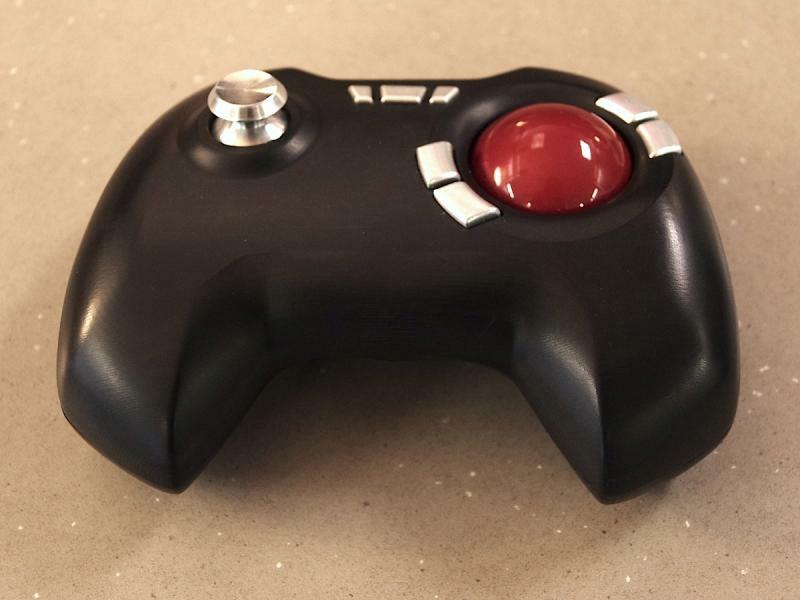 This is the trackball controller prototype by Valve, dated 2013-11-04 . It was hyped back in 2013, as gamer wanted a input device that can have variable random speed, such as mouse or trackball. 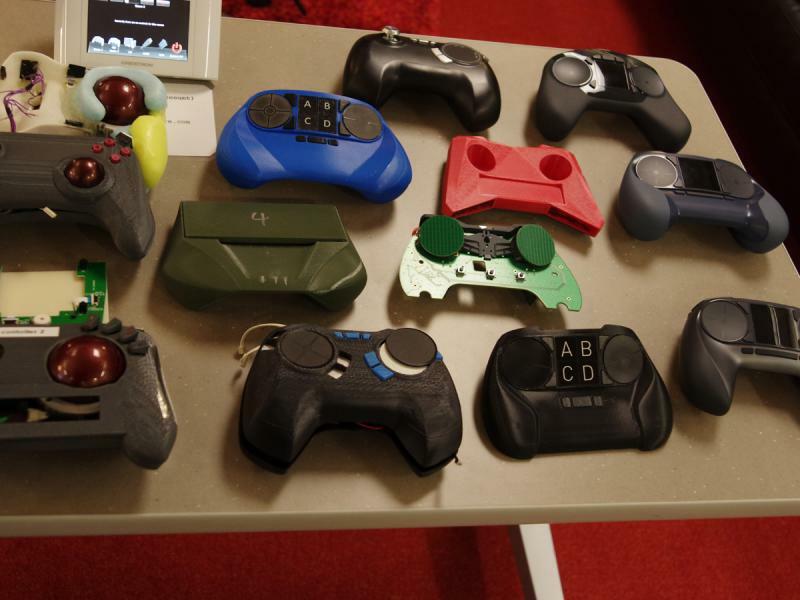 They said trackpad allowed much more possibilities in configuration, for all sort of games that require novel inputs. a trackball is a mechanical device, it allows much more accurate tracking, and the physical satisfaction of manipulating one. Trackpad is unyielding, like a stone wall, it does not respond physically. It is very unsatisfactory to use. Joystick yields, button get depressed, trackball rolls, mouse moves. Trackpad is often inaccurate or not responsive, and user can't tell if it's lag or fat finger problem, or something else. Very annoying. One practical problem with trackball is food crumbs. People will be eating potato chips on the couch, and lots trackballs will become nasty.